Breakfast is one of those meals that can make or break your day. 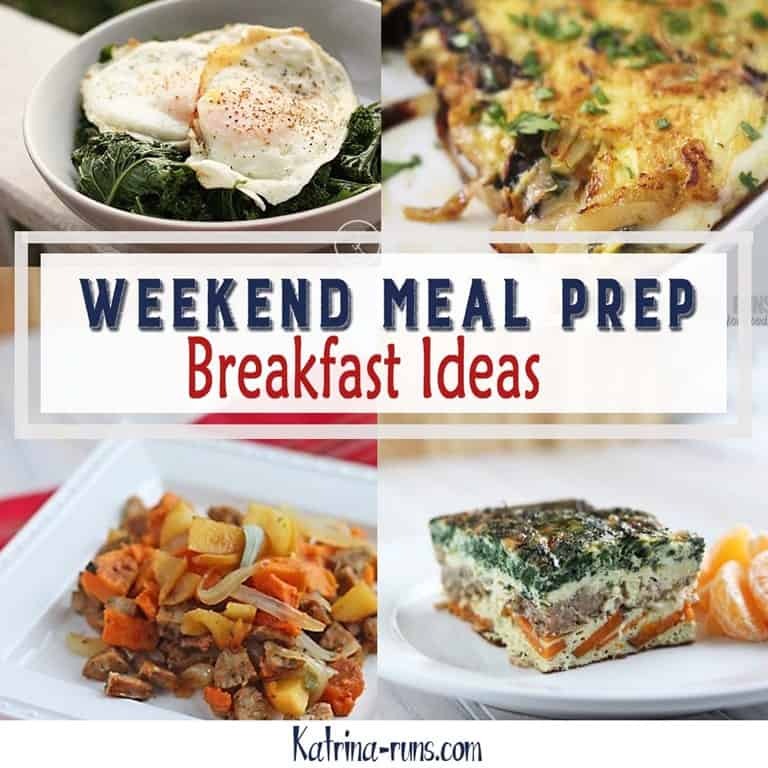 These breakfast ideas are great to make ahead and store in individual serving sizes for grab-and-go portability. 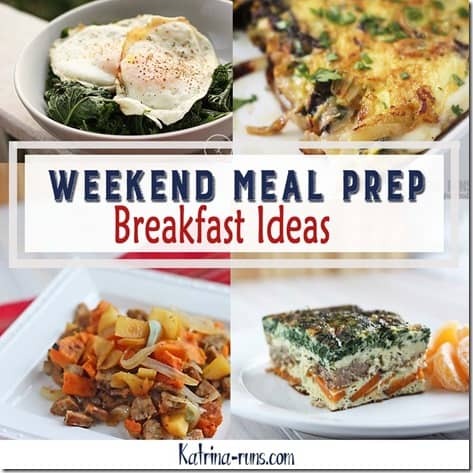 This Whole 30 Breakfast Casserole is a great recipe to use sweet potatoes with savory sausage. I love the mix of sweet and savory. Sausage Apple Paleo Breakfast Scramble is easily thrown together the night before and stored in bowls for busy mornings. Rainbow Chard Omelete This is a weekend luxury meal using the freshest spring greens. Breakfast Eggs with Greens is such a good combination and I never would have thought this until I tried it. I eat a LOT of spring weekend eggs and greens. There’s just something about fresh greens and eggs from the market with butter.